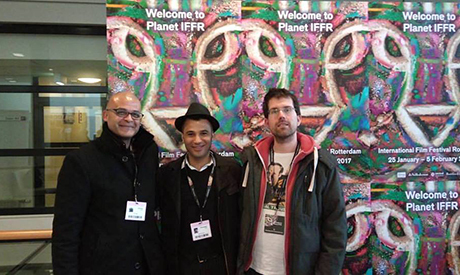 The documentary Cairo Jazzman, which follows jazz artist Amro Salah as he attempts to stage a music festival in the city, premiered at the 46th Rotterdam International Film Festival (IFFR) last month. The film follows the veteran jazz musician in the weeks leading up to the Cairo Jazz Festival, which he is in charge of organising. “I wanted to show that there is civil society existing. It is not that huge, but there are people who are trying to build and create a civil society for democracy, human rights, culture and music to show different perceptions, as because you know the Western perspective is dominated by bad news, violence, misery, Islamophobia,” he said. Bouzid is a German journalist with roots in Tunisia, a country famous for its musical heritage and strong underground scene. He first visited Cairo in 2002, where he met Salah and learned about his musical passion. “It popped into my head: why not start a documentary about him to show his effort, in this crazy but charming and lovely city?” the director says. The 80-minute film is not, however, from a clichéd Western perspective. The filmmakers wanted to push their political objective by focusing on one aspect: underground music. Hence, the documentary is not straightforward with direct messages, but by shedding light on the story of Salah and his road trip to hold the festival, it highlights different problems in contemporary Egyptian society. However, this was done without removing agency from the film’s subjects--Egyptians and underground musicians. Despite bureaucracy, corruption, restriction, and a lack of resources, the subjects are still able to achieve their goals, and voice their concerns. “My protagonist is a member of the middle class, the same as his parents. The idea there was to show a middle class that was eager for education and wants to progress with culture. This is a side which is not known in the Western world,” Bouzid argues. This was further translated into the artistic direction of the film, which stayed away from the orthodox documentary structure of interviews, archival footage, and conclusions. The camera in the film follows Salah as he treks between venues, studios, phone calls, and government buildings. The musician’s lighthearted character and his interactions with others are highlighted, not for the sake of documenting but for promoting the human experience of his quest. Here Salah is not only a calm and a charming musician, but also a caring teacher, a demanding boss, a team player, a friend, or just a Cairene stuck in traffic; but above all, he is a top-class jazzman. 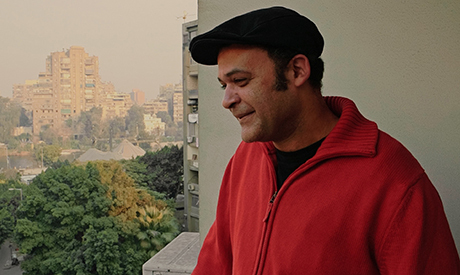 In terms of editing and visuals, Cairo Jazzman attracts the eye with its rich footage of the city. 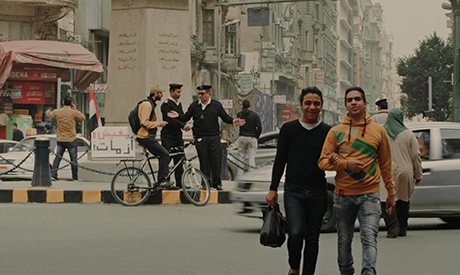 These scenes are seen every day by a citizen, but the cinematography by Francesca Araiza Andrade and Michael Brain created a rather appealing landscape that mixes the craziness of Cairo and a sophisticated music genre. “My first feature film was also a documentary about a music festival and for me it became a speciality to tell stories with music and portray places and people,” Leitner, who edited the film, said. With a strong script from Bouzid, the editing was approached differently depending on the nature of the interview or the person speaking. The film includes a diverse soundtrack that varied based on “the emotional rollercoaster not just of the main protagonist. It is actually about the rollercoaster that every Egyptian has to go through,” said Bouzid. The relationship between the filmmakers and the topic of the film complement each other in an interesting way, for example both relying on self-funding. For the filmmakers the struggle was similar. “As a purely independent film that was shot in five weeks, it is impossible as a freelancer to get shooting permission,” said Bouzid. However, due to having connections and friends in Cairo, he was able to get permission, but for a single day, and for filming indoors only. 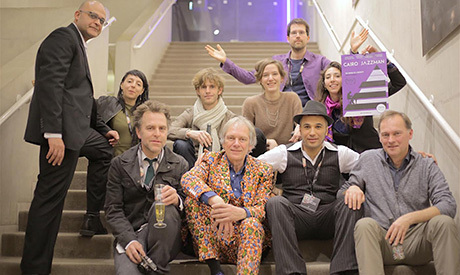 Cairo Jazzman premiered at the Rotterdam International Film Festival earlier this month, showing at the Schouwburg Kleine Zaal which is similar to a concert hall, and was followed by a performance by Tunisian artist Nabil Khemir. The film was to be screened in Scopitone, a selection of documentaries that explores different genres of music through attempts to investigate the impact of musicians and performers. “The music is the universal bond between human beings, regardless where they are from or what language they speak,” Bouzid adds, while expressing his eagerness to send his film and his jazzman to other festivals and destinations.